With the longer days and warmer nights, summer is the perfect time to get outdoors to see some of the breathtaking sunsets across the skies. The Stevens Point Area is lucky to have beautiful shorelines to capture the views and frame the sky, like the Wisconsin River running right through its heart, along with various other locations to snap your best "sunset selfie". Be sure to bring a camera with you to these spots, but remember to look up from the screen to take in the sky&apos;s full, raw beauty, too! Whether you are on a boat or on land, in a remote area or right downtown, you can be sure to catch the sunset reflecting off of the Wisconsin River. For a special spot, visit Bukolt or Pfiffner Park downtown! Although not on the river, Jordan County Park is another great Stevens Point location for sunset searching! 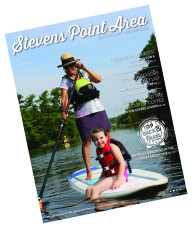 With the 27 miles of hiking and biking trails running through the Stevens Point Area, the Green Circle is bound to have some sought-after spots for sunsets. If you aren&apos;t opposed to early mornings, the Schmeeckle Reserve&apos;s Lake Joanis is an amazing location for sunrises! Sometimes you don&apos;t have to be looking for sunsets to see one-- sometimes they will find you! Various unexpected locations like Central Waters Brewery, Bullhead&apos;s Bar and Grill, UWSP, the Stevens Point Country Club, downtown, and event the Stevens Point Dog Park have been known to hold some gorgeous sunsets. Just another reminder to look up into the sky on your next night out! You don&apos;t have to stay right in Stevens Point to catch some setting rays! Plover, and the surrounding area, is home to some great spots for sunsets, especially spots that reflect the sky off of the water! In Plover don&apos;t miss the views from ​Lake Pacawa. Other nearby must-see&apos;s are Standing Rocks County Park and McDill Pond! As you head more north, the sunsets seem to get better and better! For a unique picture in a seldom-seen location, head to Lost Creek Wetlands. You can also take a dip in the water at Tiki Beach with a gorgeous sunset behind you! Head to the west side for some more seldom-seen locations! George Mead Wildlife Area and Club 10 on the river are some great spots for your next sunset selfie! With the rolling hills and open fields in Amherst, sunset seekers often find great photos in the area. Learn about conservation and appreciate the nature around you at the Midwest Renewable Energy Association! Nearby is Sunset Lake, and you guessed it- it is known for its gorgeous sunsets! Don&apos;t miss these must-see locations! Add #stevenspointarea to add your own sunset selfie! Be sure to tag the location and make it public for all of your friends to see! Happy sunset searching in the Stevens Point Area! 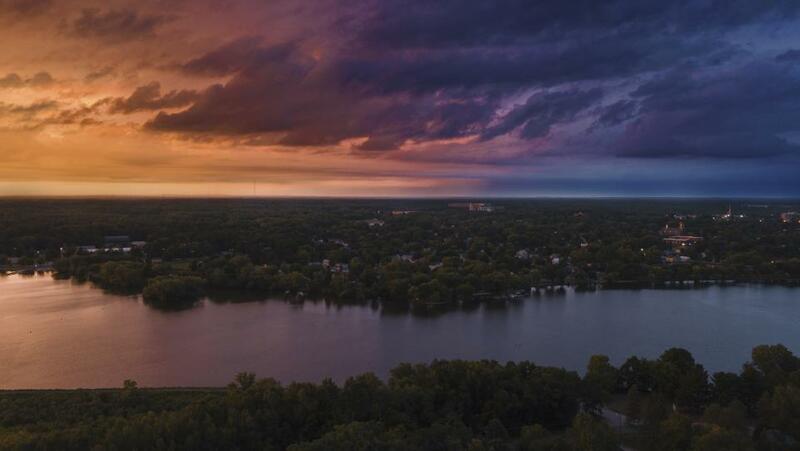 A big thanks to Anthony Kolodziej for the top image, taken over the Wisconsin River near downtown Stevens Point, a vantage point not many people get to see!